This Par 4 is considered by many to be a very challenging hole. 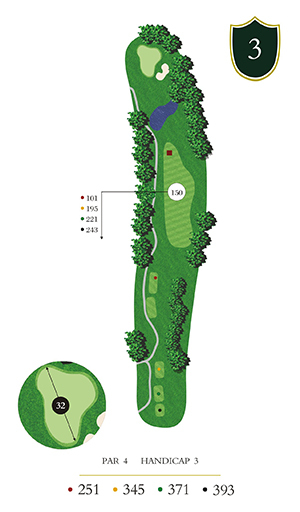 You have ample room to the right on your tee shot, but going too far left is problematic. 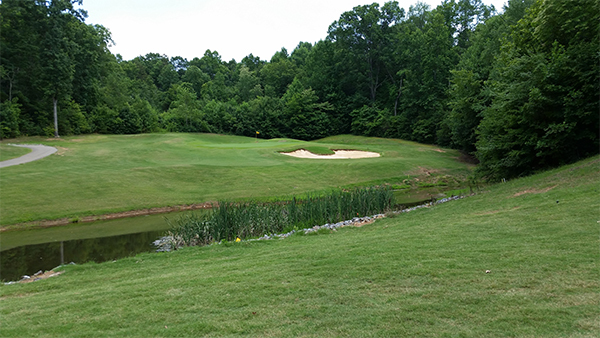 Your second shot should carry the pond and stay away from the right hand green side bunker. Hit enough club to allow for a slightly elevated green.